It is known that the national lottery uses a significant amount of the money it collects by selling tickets, to fund charitable actions and nonprofit organizations. By directing almost a quarter of its revenue towards good causes, the lottery makes a significant contribution in local communities and funds projects that would otherwise fail. 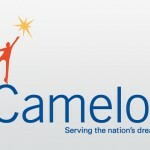 Camelot has recently revealed that this system benefits both parties, as 2012 saw the income of the lottery boosted by the London Olympics. The lottery spent a large part of the money collected to help build the new Wembley and support those athletes that competed for team Great Britain in the London Olympics. The organization was also a reliable supporter for the Paralympics and it can be to some extent, congratulated for the 120 medals earned by these athletes. 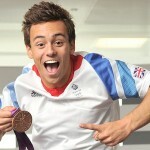 In addition to directing a part of their regular profits to make the aforesaid charity work, the National Lottery also sold Olympics themed tickets that proved to be a success. 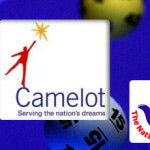 Camelot is the operator of the National Lottery and it reported that the Olympics boosting the revenue to a massive £3.53bn in only six months. Players are the ones who should be credited with the merit of helping the lottery fuel the dreams of so many worthy athletes, as they definitely rose to the challenge. The company confirmed the fact that this year the sales increased by over 8%, and the only explanation for this dramatic bump is that people responded well to the Olympics campaign. All this money will help the National Lottery grow, and it is most likely that the same campaigns will be repeated in a not so distant future. The more involved the lottery gets in major events, the better the response is and the collateral beneficiaries are more numerous than ever. 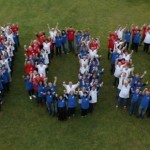 Representatives of the lottery said that roughly 9 in 10 team Great Britain athletes were awarded money in one manner or the other, and the total amount spent for helping British athletes revolves around £750m. ambitions to crush its rival. Richard Desmond’s Health Lottery is the only competitor and so far Camelot didn’t succeed in its attempts of getting its license revoked. 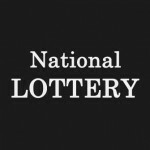 The last attempt came in August, and following the failure, the National Lottery representatives said that they will no longer pursue this action.